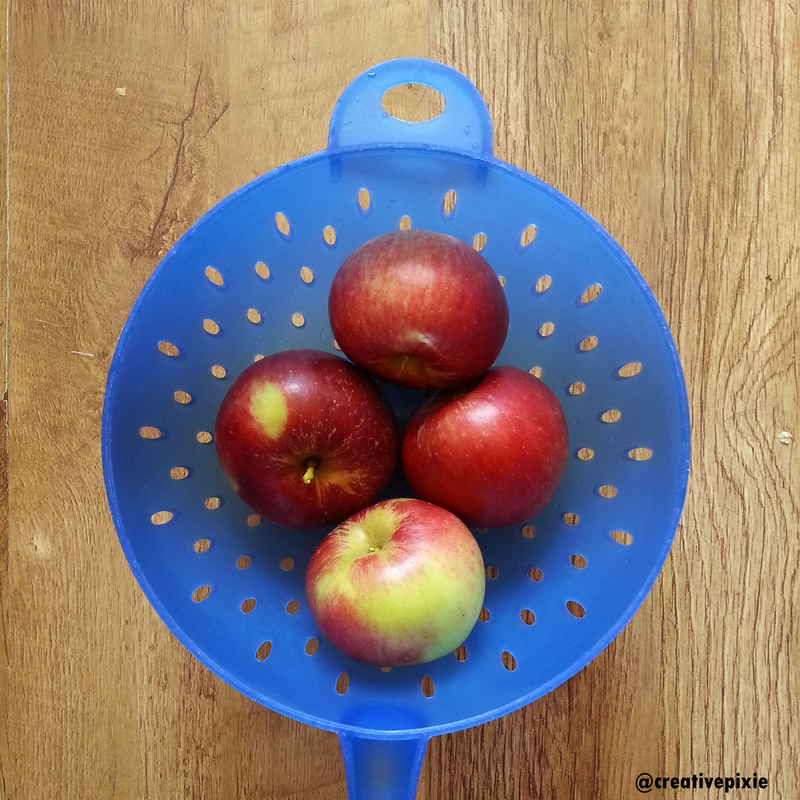 and we have started harvesting our apples! 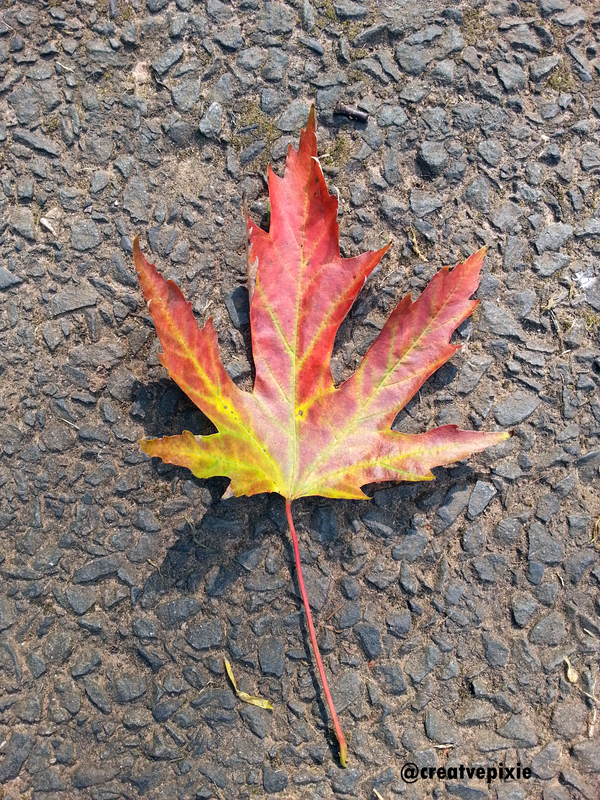 I do like this time of the year and have to say it’s probably my favourite season. I love going on walks outside at our local National Trust properties and walking through woodlands seeing what wonderful things God created. This weeks make is a result of one of those walks and a very necessary tidy up at home. I had come across a bag of pom-poms that I had made a while back when I got my new pom-pom makers. You know when you get a new crafty thing you just have to try it out well I made quite of few pom-poms and since then they’ve been waiting for their purpose and here it is. I had a brainwave to make an autumnal display with the pom-poms by tying them to some twigs and popping them in a vase. 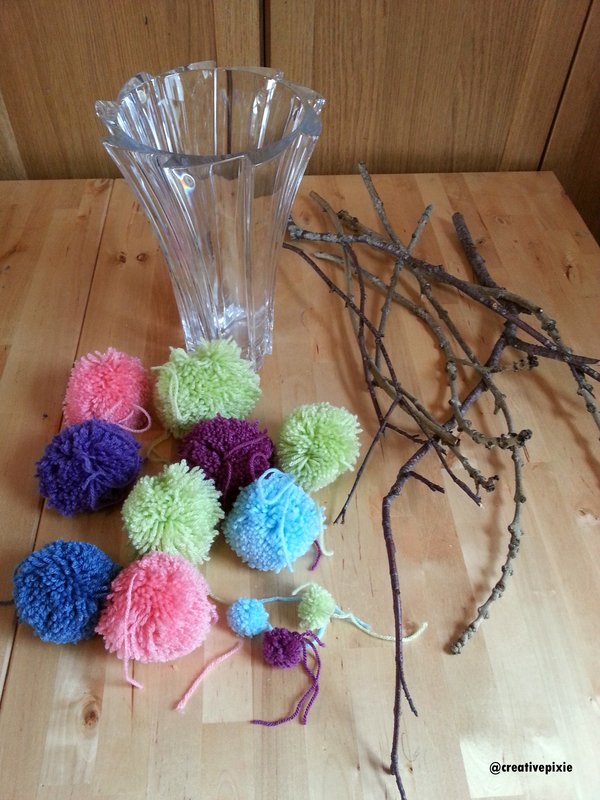 Luckily the pom-poms still had their tails on so I used these to tie them onto the branches (glue could be used if ties were cut off). It’s something different, I only hope my cats don’t attack it! Great idea! 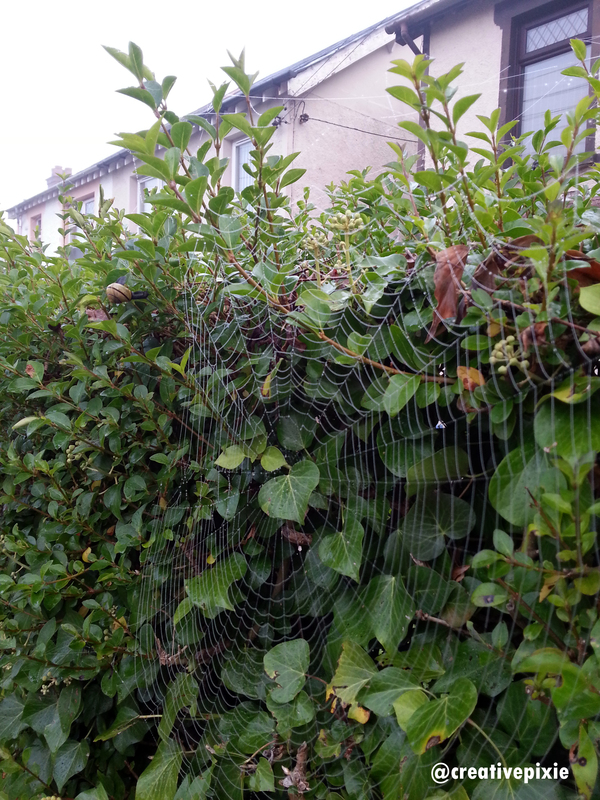 I love autumn too but I really don’t like spiders! My cats have fun trying to catch the daddy longlegs. 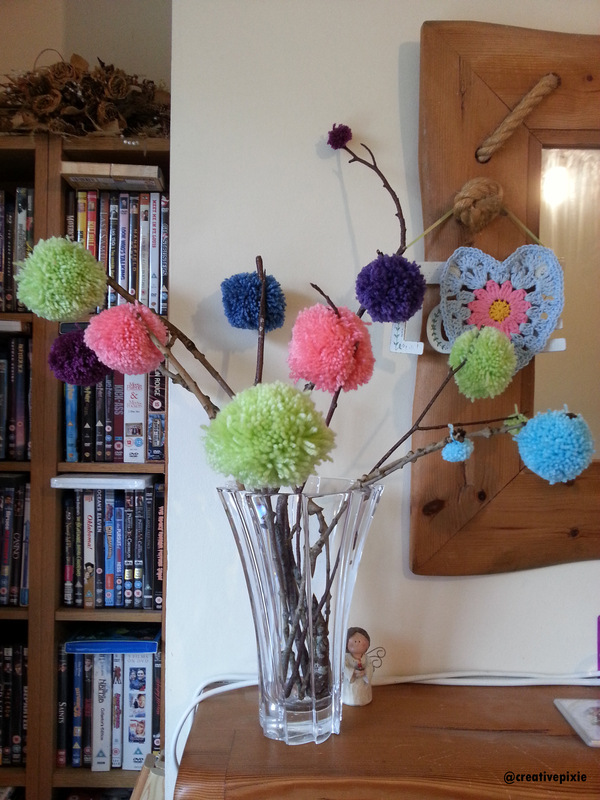 Very cheery – really must try out my new Pom Pom maker. LOVE your pompom tree! My practice pompoms will be a garland around my conservatory this Christmas! Thanks, it was fun collecting the twigs in Stormont Estate – we’re so lucky to have something so fabulous within walking distance of our house.